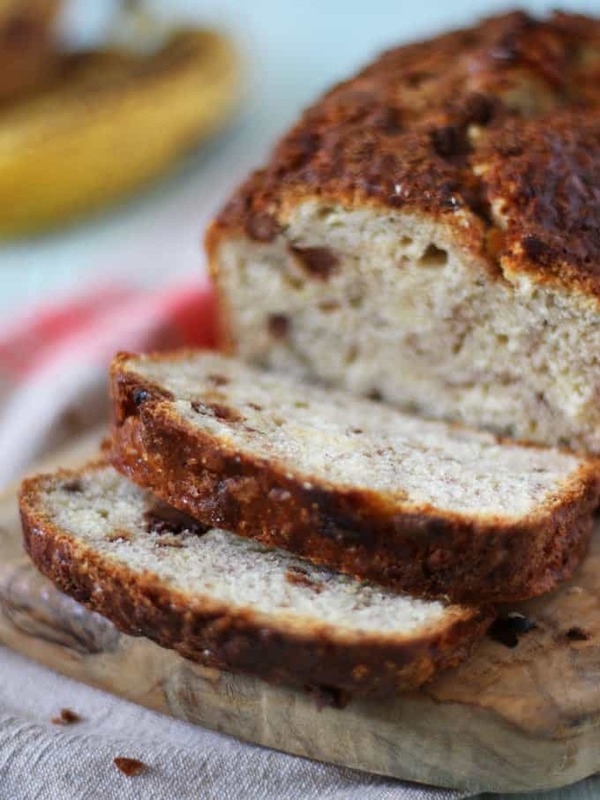 Quick and easy, one bowl, UK recipe for banana bread with chocolate chips. 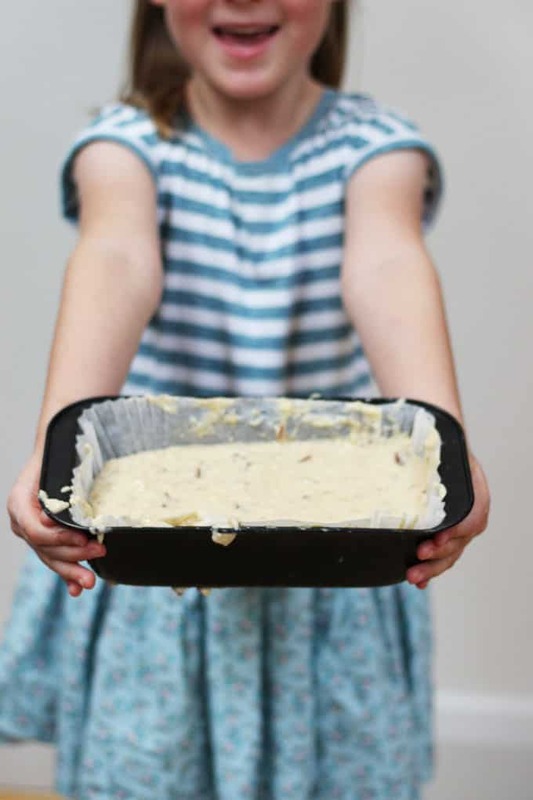 Brilliant to bake with kids! With two energetic littles on my hands, I’ve spent a lot of time over recent years setting up elaborate craft activities or exciting outings (I blame Pinterest). I’ve covered the table, stocked up on glitter, bought a Tuff Spot, all of that jazz. But you know, it dawned on me recently, when H declared washing up as her favourite thing ever that really, they often want to just share in the day to day activities of life and feel part of it. I was so lucky growing up that my Mum invested heaps of time in cooking with me. It was always my favourite activity and it still is, so much so that I made it my job (hurrah!) She says she remembers thinking “oh goodness, not more time in the kitchen…” but suffered through the flour clouds as she knew how happy it made me. Thanks Mum, you’re a good ‘un. My time in the kitchen with my two is also a juggle of fighting over the spoon (and who gets to do the washing up?!) but it’s so worth it. It helps them to practice maths, science, taking turns, so many skills. 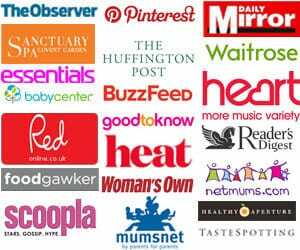 This week, environmental charity Hubbub and Unilever got in touch with me about some new research into family cooking habits. 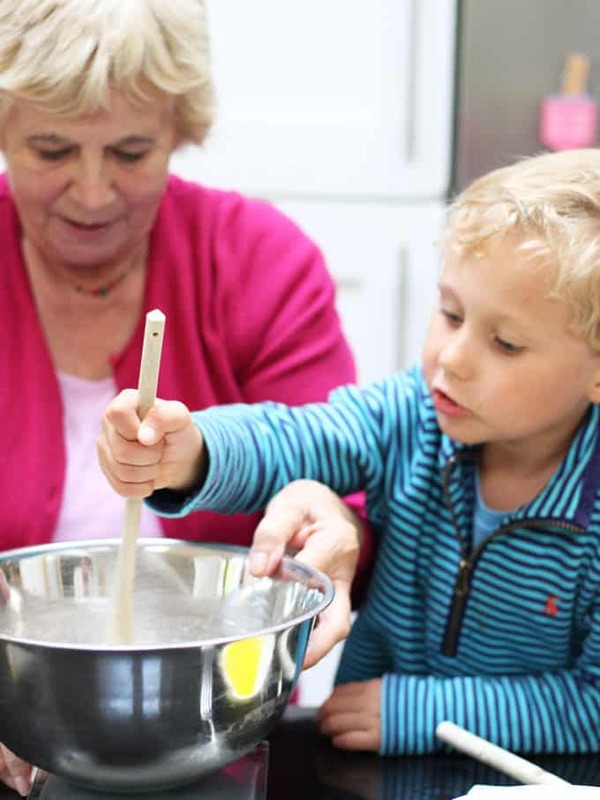 They’ve found that essential cooking skills are at risk of being lost as children are not being given the time or opportunity to cook with their family. Eight out of 10 parents wish they have more time to teach their children to cook. 94% of parents consider cooking a vital life skill, yet 6 in 10 never cook a meal from scratch with their children. The number of British families eating a home cooked meal at least six nights a week plummeted from around half (47%) 30 years ago to just 15% today. 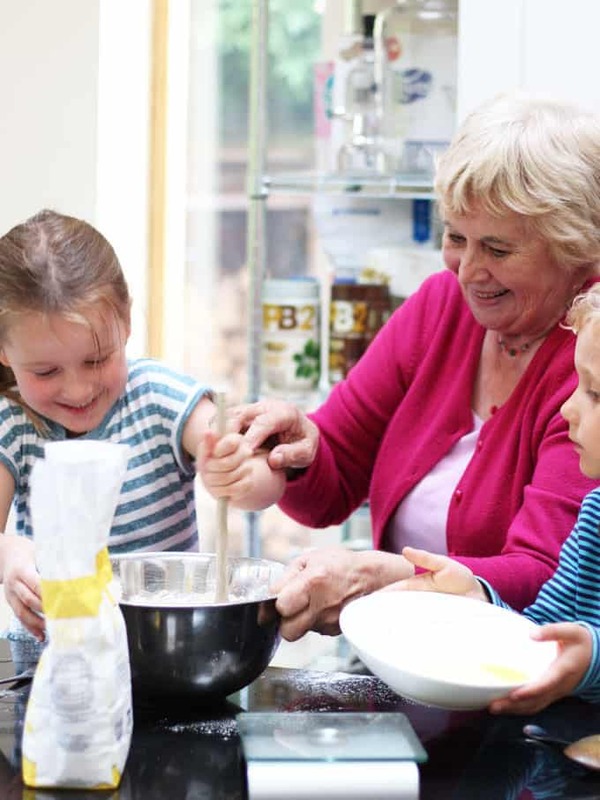 Unilever and Hubbub are urging grandparents to pass on vital cooking skills to younger generations. They are suggesting taking the opportunity to bring families and generations closer together and pass on traditional recipes and essential cooking skills. The wider benefit of this is that building cooking skills is vital to tackling the 7 million tonnes of good food and drink that is thrown away from UK homes every year. So this weekend, we decided to bring generations together. 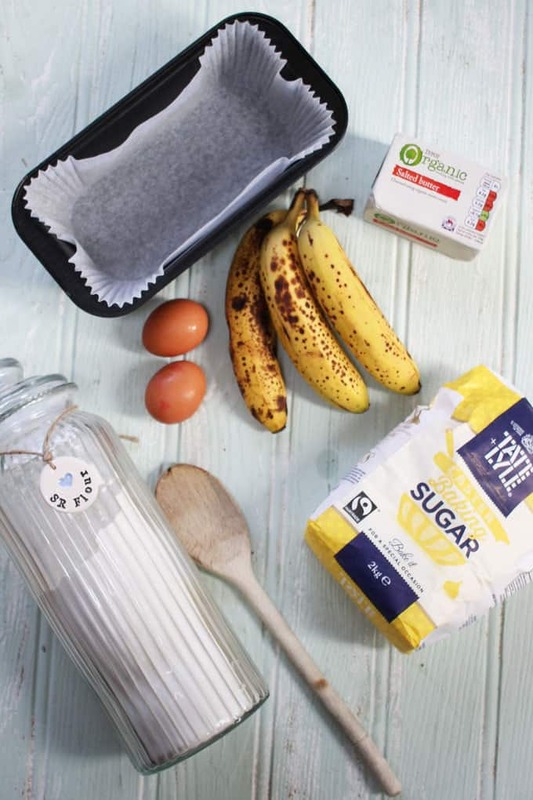 My Mum (“Goggy” – long story) came and taught G&H to make her favourite banana cake recipe. 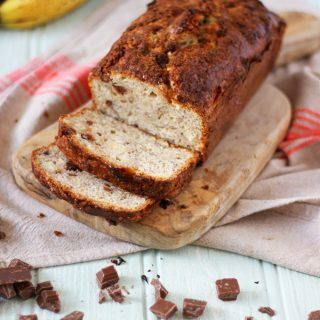 Frugal and easy peasy to make, this recipe has the added benefit of using up very ripe bananas, no longer fit for eating uncooked. A great tip to not waste bananas is when they are really ripe, pop them into the freezer, then just pull them out and defrost whenever you need a super ripe banana. No waste and very convenient. This also makes a brilliant after school snack for a quick energy burst. Grease the tin with soft butter (or line with baking paper). Break the eggs into a bowl and whisk. Add the melted butter, sugar, flour, baking powder, zest of the orange and zest of the lemon, mashed bananas and chocolate chips if using. Spoon into the tin, smoothing out with the back of the spoon. Bake for 40 mins - 50 mins at 180C. Do you cook with your little ones? 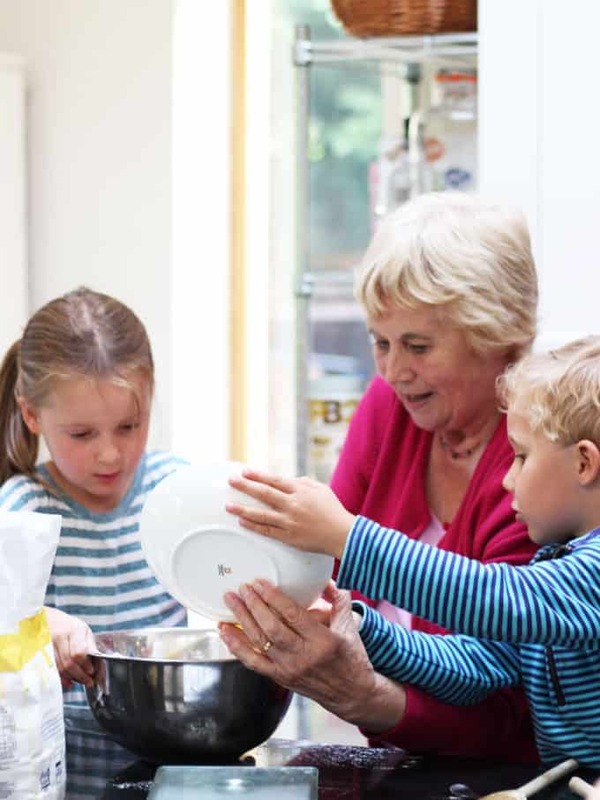 What cooking skills did you learn from older family? 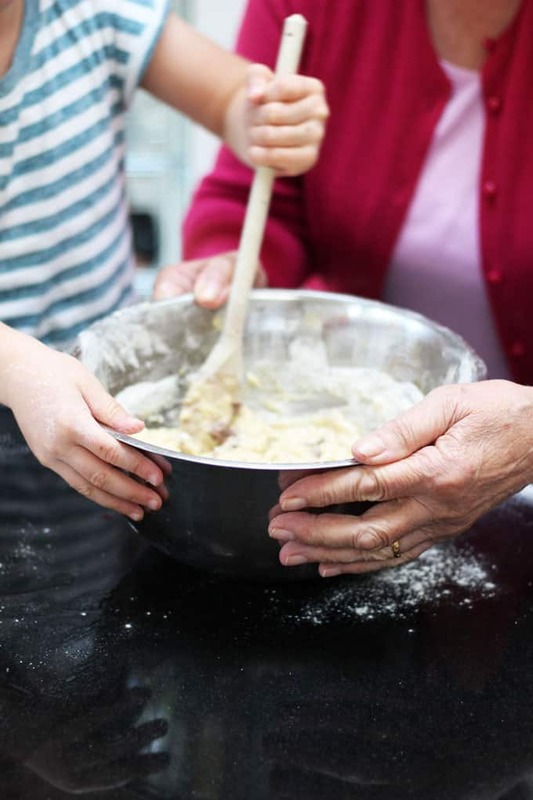 If you bake with an older generation, Hubbub would love you to share using #cooksomethinggrand. Disclosure: This recipe was commissioned by Hubbub and Unilever. As always, all opinions are truthful. Lovely recipe Sarah! It’s so lovely to hear about your little ones & see them growing up! Can you just tell me, are the oven temperatures you quote for fan ovens? Yes! One bowl baking is the way to go. I am a rubbish baker, my kids would love to bake more I am sure, but banana bread and simple one bowl muffins we do! This looks delicious. 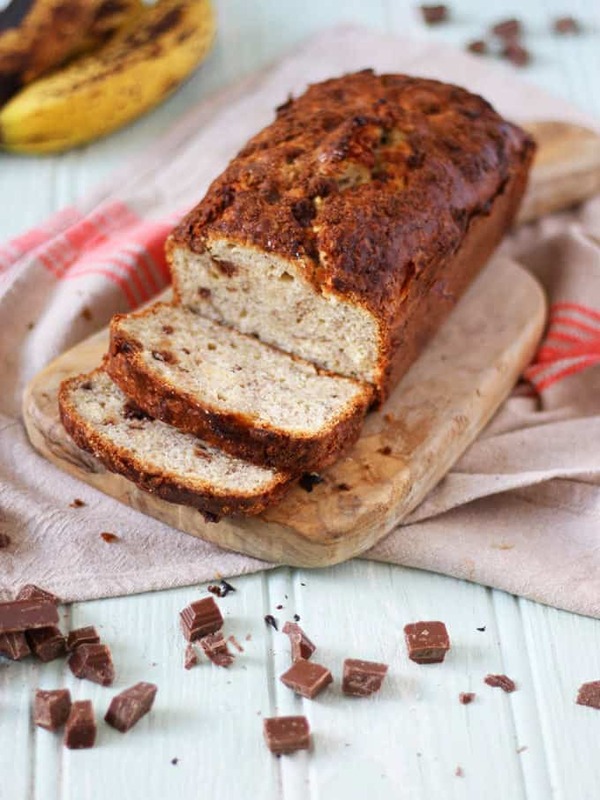 I always have loads of bananas leftover so will defiently have a go at this! 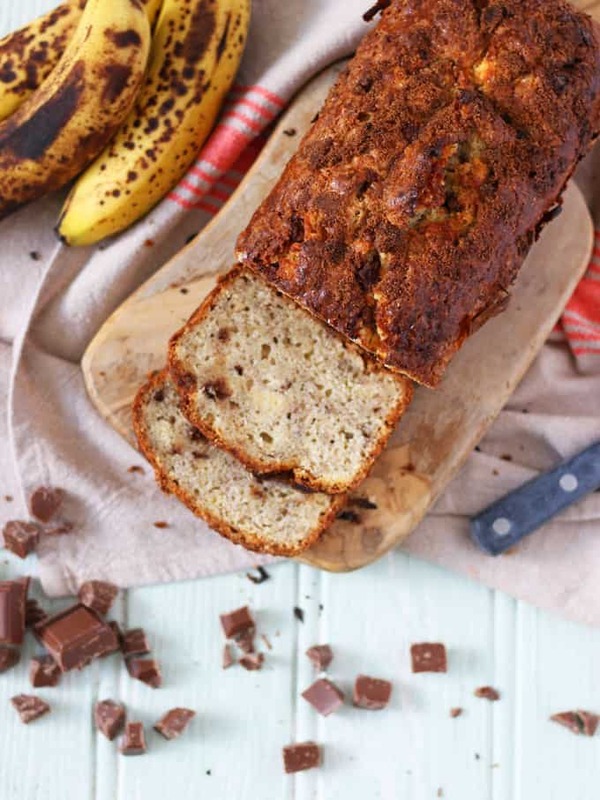 Looks like a great recipe to make with the kids – I don’t think I’ve ever made a chocolate chip banana bread with mine before.